An estimated 88,000 people die from alcohol-related causes each year. 10,000 of these accidents are from drinking and driving, and account for 31% of driving fatalities each year. Nearly 1 million people in the United States suffer from some type of AUD, or Alcohol Use Disorder. However, some people don’t realize they’re alcohol dependent until it’s too late. 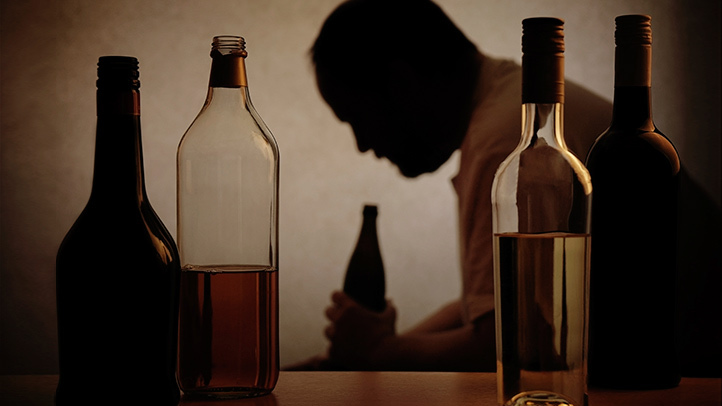 “Heavy drinking has become normalized – alcohol is ingrained in so many areas of our lives and there is a lot of pressure to drink,” says Dr Iqbal Mohiuddin, a consultant psychiatrist. You regularly use alcohol to cope with anger, frustration, anxiety or depression – instead of choosing to have a drink, you feel you have to have it. Your drinking affects your relationships with other people – they may tell you that when you drink you become gloomy or aggressive. Or, people around/with you look embarrassed or uncomfortable when you are drinking. You stop doing other things to spend more time drinking – these other things become less important to you than alcohol. You carry on drinking even though you can see it is interfering with your work, family and relationships. Take the test and track your scores. What your final tally means will be revealed after the quiz. 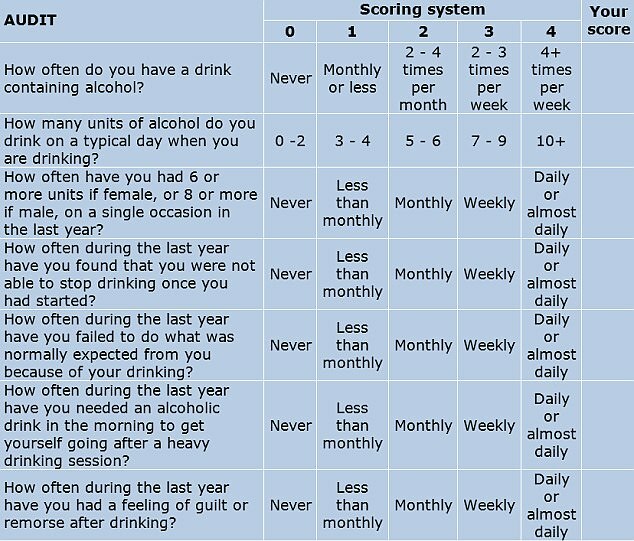 0-7: You are within the sensible drinking range and have a low risk of alcohol-related problems.Over 8: Could indicate harmful drinking.8-15: Medium level of risk. Your current level of drinking makes you more vulnerable to suffering health problems as well as life problems related to drinking. Consider cutting down.16-19: Higher risk of complications from alcohol. You may need professional help to cut down your drinking habit, but it is recommended to do so. Consult your general practitioner.20 and over: You have a possible alcohol dependency and it is suggested you seek medical attention. Your drinking is causing problems in both your own body as well as your relationships. How did you score? These questions are important to keep in mind when consuming alcohol. Share with your friends to make sure they are staying healthy. They`re Self Made Hollywood Stars and Want To Inspire Women To Rise Up And Live Great!